In addition to recognizing employees’ years of service and achievement of advanced degrees, the awards program presented three campus wide awards. Dr. Sharrica Miller, assistant professor of nursing, was awarded this year’s Diversity, Inclusion and Equity Award for her leadership in establishing the first annual Diversity and Inclusion Symposium within the School of Nursing. Cal State Fullerton has become an in-demand institution for the education of nurses trained specifically for midwifery/women’s health care. Ranked among the nation’s top programs in the field, according to U.S. News & World Report, it is one of only two universities that offer a nurse-midwifery program in California, and admits only a fraction of the student applicants who apply every year. 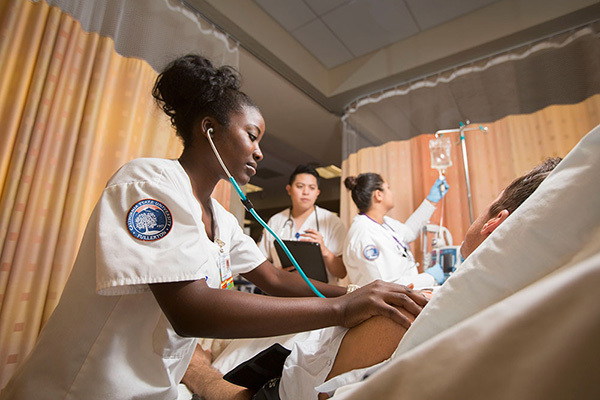 To enhance its ability to admit applicants who demonstrate academic readiness and potential for success, the School of Nursing at Cal State Fullerton seeks to augment the current admissions criteria for the Bachelor of Science in Nursing pre-licensure program. In a move to increase the number of nurses and the diversity of workforces, Cal State Fullerton has signed Memorandums of Understanding with Riverside City College to create pathways from the associate degree in nursing to a bachelor of science in nursing. 120 students from the Cal State Fullerton’s School of Nursing participated in a Poverty Simulation, designed to help them understand how easy it is for individuals and families to fall into the cycle of poverty, and to make them better advocates for their patients in those situations. Students in Cal State Fullerton’s Nursing are getting training on substance abuse thanks to a three-year Substance Abuse and Mental Health Services Administration grant. The final year award of $258,521, brings the total award to nearly $700,000. 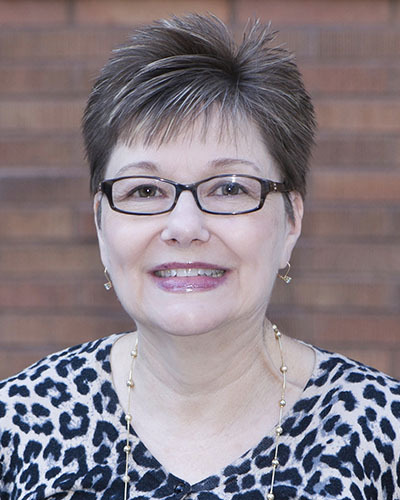 Stephanie Vaughn, professor and director of the School of Nursing, is the 2018 recipient of the Association of Rehabilitation Nurses’ Distinguished Service Award. The award recognizes outstanding contribution to rehabilitation nursing and demonstrated leadership in ARN activities. Male nurses hail from different backgrounds and specialties, but they are united in their dedication, clinical expertise and compassion. Meet one of them, Jose Llanas, a California State University, Fullerton student. Sherin Tara, a senior nursing major, spent almost a month serving in the emergency room at Martin Army Community Hospital in Fort Benning, Georgia. To ensure that the workplace of professional nurses is prepared to care for the changing demographics and be culturally sensitive to all cultures and groups, Cal State Fullerton’s School of Nursing is making it a top priority to not only increase the diversity of its students but add instruction to help them better care for their future patients. Newly admitted students in the bachelor of science in nursing program received their white coats on September 15th, symbolizing the start of the clinical-rotations phase of their nursing studies. The College of Health and Human Development welcomed seven new tenure-track faculty members this fall, including a cancer prevention researcher and an assistant professor of social work whose research explores how children and adults acquire and apply the skills, attitudes and knowledge to understand and manage emotions. 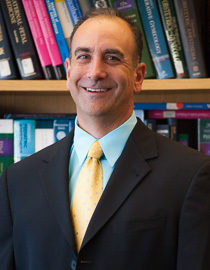 Dr. Sassoon Elisha, assistant director at CSUF’s Kaiser Permanente School of Anesthesia, is one of three certified registered nurse anesthetists inducted as fellow in the American Academy of Nursing’s 2018 highly distinguished academy class. Student loans are daunting for college student across America. That’s why when Lauren Wakefield, a nursing major, saw Ellen reach out to her college audience on social media about debt and she instantly responded. Each year, the CSUF School of Nursing hosts a White Coat Ceremony, in honor of the newly admitted class of nursing students. The ceremony is a celebration of the students’ start on their journey through nursing school. During the ceremony, a School of Nursing faculty member coats each student which marks the transition into their first hands-on clinical course at a local partnering hospital. After each student has been coated, the cohort of new students recite the nursing pledge aloud together. This year, the ceremony featured CSUF Alumni speaker Stacy Pico, MSN, RN. Stacy spoke about her own experience as a nursing student at CSUF, and encouraged the new students to recognize the important role their support systems will play as they go through nursing school. School of Nursing students at CSUF spend 10 weeks conducting research in Argentina, the United Kingdom, Thailand, and Canada through CSUF’s Minority Health and Health Disparities International Research Training Program, known as MHIRT. School of Nursing faculty & staff started the 2018 Fall semester with a Star Wars themed retreat focusing on engagement. After a festive morning of photobooth fun, Dr. Erica Bowers presented on engagement tools and Chewbacca made a special appearance! May the force of engagement be with us this academic year! 80 Pre-Licensure students, 150 RN-BSN students and 95 MSN students came together as one large group for our Fall 2018 Orientation. Welcome to the School of Nursing! While Cal State Fullerton strategic management students were learning and touring in China this summer, their schoolmates have been having other exciting adventures of their own. "There is a great need for primary care providers in rural areas," said Ruth Mielke, women's health care concentration coordinator. "The hope is that if a student has a positive clinical experience training in an underserved site that student may be more likely to consider working in that site or a similar site after graduation." With curriculum vitaes pages deep with research presentations, publications in progress, teaching experience and accolades, four Cal State Fullerton graduates are continuing their educational journeys this fall with support from the Chancellor’s Doctoral Incentive Program. The Office of Faculty Affairs and Records has announced the tenure and/or promotion of 2 nursing faculty members, effective August 20, 2018.